The Point6 Rumble Medium Weight Ski Sock brings soft, warming merino construction and cushioned comfort to smaller feet. This sock's cushioning surrounds the entire foot and leg, protecting from all angles. Medium weight construction provides warmth for long days in the cold. Outdoor play just got more comfortable. "I have a 2 year old. His shoe size is 25 EU or 8 US, what size could be in this socks? Thank you Alicia"
"Thank you for your inquiry. 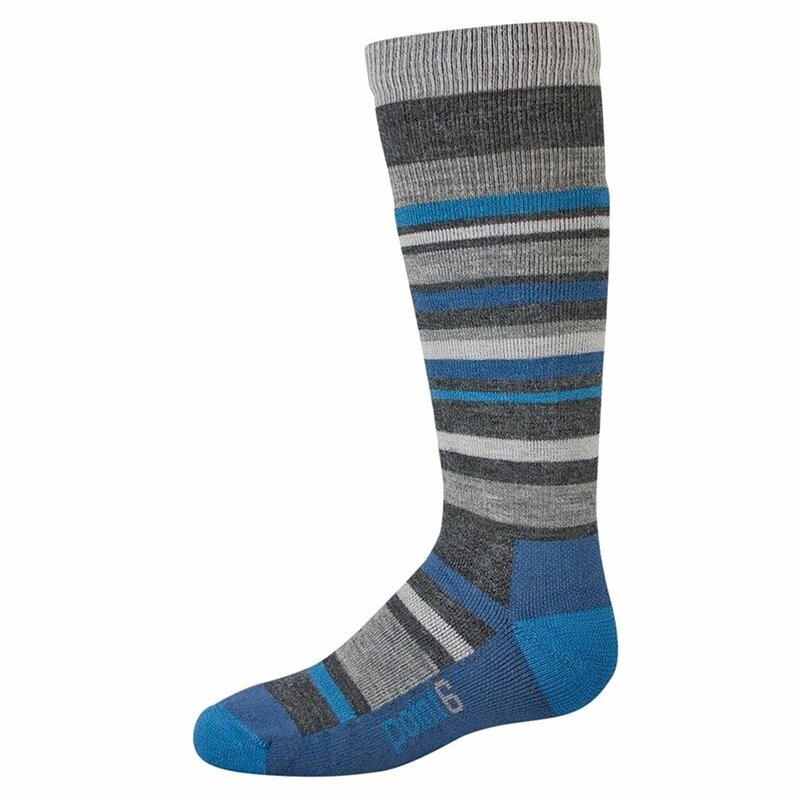 The Point6 Rumble Medium Weight Ski Sock start at US 9-11.5 in Kids. They will be to big for your 2 year old. We would recommend looking at the Smartwool Ski Sock Sampler. We hope this information helps! "